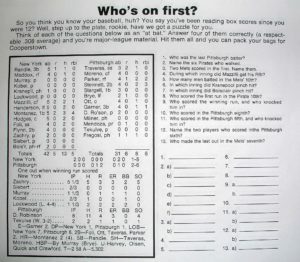 Question #13 – Who made the last out in the Mets’ 7th? I hope you enjoyed the riddle. This LINK takes you back to the original page.